The Alipore Zoological Gardens (also informally called the Alipore Zoo, Calcutta Zoo or Kolkata Zoo) is India's oldest formally stated zoological park (as opposed to royal and British menageries) and a big tourist attraction in Kolkata, West Bengal. It has been open as a zoo since 1876, and covers 18.81 ha (46.5 acres). It is probably best known as the home of the now expired Aldabra Giant Tortoise Adwaita, which was reputed to have been over 250 years old when it died in 2006. It is also home to one of the few captive breeding projects involving the Manipur Brow-antlered Deer. The zoo has drawn a lot of criticism from the zoo community and conservationists in the past few decades, mainly for its cramped cages, as well as for its Panthera hybrid breeding program. A 4-month-old female baby elephant, deserted by her family, has been raised and contented to be the newest member of the zoo. She has been named 'Baby'. The zoo had its roots in a private menagerie established by Governor General of India, Richard Wellesley, established around 1800 in his summer home at Barrackpore near Kolkata, as part of the Indian Natural History Project. The first superintendent of the menagerie was the famous Scottish physician zoologist Francis Buchanan-Hamilton. Buchanan-Hamilton returned to England with Wellesley in 1805 following the Governor-General's recall by the Court of Directors in London. The collection from this era are documented by watercolours by Charles D'Oyly, and a visit by the famous French botanist Victor Jacquemont. Sir Stamford Raffles visited the menagerie in 1810, encountering his first tapir there, and doubtless used some aspects of the menagerie as an inspiration for the London Zoo. The foundation of zoos in major cities around the world caused a growing thought among the British community in Kolkata that the menagerie should be upgraded to a formal zoological garden. Credence to such arguments was lent by an article in the now-defunct Calcutta Journal of Natural History's July 1841 issue. In 1873, the Lieutenant-Governor Sir Richard Temple formally proposed the formation of a zoo in Kolkata, and the Government finally allotted land for the zoo based on to the joint petition of the Asiatic Society and Agri-Horticultural Society. It is not clear whether the Aldabra Giant Tortoise Adwaita was among the opening stock of animals. The animals at Barrackpore Park were added to the collection over the first few months of 1886, significantly increasing its size. The zoo was thrown open to the public on 6 May 1876. It grew based on gifts from British and Indian nobility - like Raja Suryakanta Acharya of Mymensingh in whose honour the open air tiger enclosure is named the Mymensingh Enclosure. Other contributors who donated part or all of their private menagerie to the Alipore Zoo included the Maharaja of Mysore Krishna Raja Wadiyar IV. The park was initially run by an honorary managing committee which included Schwendler and the famous botanist George King. The first Indian superintendent of the zoo was Ram Brahma Sanyal, who did much to improve the standing of the Alipore Zoo and achieved good captive breeding success in an era when such initiatives were rarely heard of. One such success story of the zoo was a live birth of the rare Sumatran Rhinoceros in 1889. The next pregnancy in captivity occurred at the Cincinnati Zoo in 1997, but ended with a miscarriage. Cincinnati Zoo finally recorded a live birth in 2001. 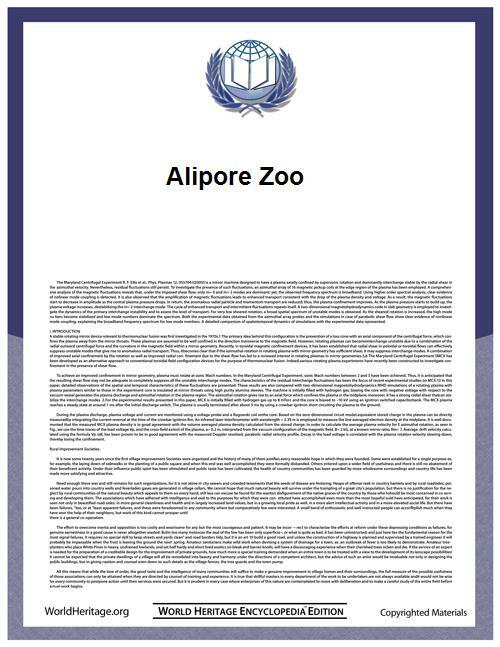 Alipore Zoo was a pioneer among zoos in the 19th century and the early part of the 20th century under Sanyal, who published the first handbook on captive animal keeping. The zoo had an unusually high scientific standard for its time, and the record of the Cladotaenia genus (Cohn, 1901) of parasites are based upon cestodes (flatworm) found in an Australian bird that died at the zoo. Pressed for space as Kolkata developed, and lacking adequate government funding, the zoo attracted a lot of controversy in the latter half of the 20th century due to cramped living conditions of the animals, lack of initiative at breeding rare species, and for cross-breeding experiments between species. The zoo has attracted a lot of criticism over the years for keeping single and unpaired specimens of rare species like the Banteng, Great Indian One-horned Rhinoceros, Crowned Crane and the Lion-tailed Macaque. Lack of breeding and exchange programs has led to the elimination of individuals and populations of environmentally vulnerable species like the Southern Cassowary, wild Yak, Giant Eland, Slow Loris and Echidna. We are aware that the animals and birds are not well in the cages and moats. 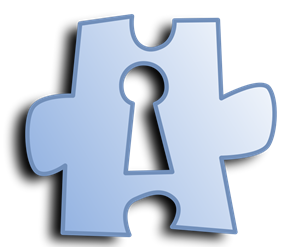 Efforts are on minimizing their agony. The zoo has also been criticized for the quality of its animal - visitor interaction. Teasing of animals was a common occurrence at the zoo,Darwin Awards. Another mauling leading to a death occurred in 2000. The zoo has also been criticized for its animal - keeper relations. A chimpanzee attacked and severely injured its keeper in Alipore Zoo, and numerous other incidents have been reported including the case of an elephant trampling its mahout to death in 1963 which had to be put down. In 2001, it was revealed that zoo staff drugged the Great Indian One-horned Rhinoceros into relieving itself more often than normal, which enabled them to collect the urine and sell it on the black market as an anti-impotence medicine. The zoo attracted flak from the scientific community in general, because of cross breeding experiments between lions and tigers to produce strains like tigons, and litigons (see Panthera hybrid). The zoo bred two tigons in the 1970s — Rudrani (b. 1971) and Ranjini (b. 1973) were bred from the cross between a Royal Bengal Tiger and an African Lion. Rudrani went on to produce 7 offsprings by mating with an Asiatic Lion, producing "litigon"s. One of these litigons, named Cubanacan survived to adulthood, stood over 5.5 feet (1.7 m) tall, measured over 11.5 feet (3.5 m) and weighed over 800 pounds. It died in 1991 at the age of 15. It was marketed by the zoo as the world's largest living big cat. All such hybrid males were sterile. Quite a few of these creatures suffered from genetic abnormalities and many died prematurely. Rangini, the last tigon in the zoo, died in 1999 as the oldest known tigon. The zoo has stopped breeding hybrids after the 1985 legislation passed by the Government of India banning breeding of panthera hybrids after a vigorous campaign by the World Wide Fund for Nature (then World Wildlife Fund). The zoo remains one of the most popular winter tourist attractions in Kolkata, but revenue earned is low as gate costs are highly subsidized. The ticket prices at the gate increased from Rs 5 to Rs 10 in the winter of 2003 (a doubling from approx. 12 c to 25 c in the exchange rate of the time). The footfall figures in 2005 showed an annual visitation of almost 20 lakh (2,000,000) — more than any other tourist attraction in Kolkata, and a peak of over 25,000 on Christmas Day and New Year's Day. The zoo displays a large number of crowd-pulling megafauna, including the Royal Bengal Tiger, African Lion, Jaguar, Hippopotamus, Great Indian One-horned Rhinoceros, Reticulated Giraffe, Grant's Zebra, Emu, Dromedary Camel and Indian Elephant. Previously, other megafauna like the Panthera hybrids and the Giant Eland were present. The zoo sported a large collection of attractive birds, including some threatened species up until the 1980s - large parrots including a number of Macaw species, Conures, lories and lorikeets; other large birds like Touracos and Hornbills; colourful game birds like the Golden Pheasant, Lady Amherst's Pheasant and Swinhoe's Pheasant and some large flightless birds like the Emu, Cassowary and Ostrich. However, lack of pairing and exchange programs have caused a significant decline in the populations, causing some of the populations to die out. Laid out on 45 acres (18 ha) of land, the Calcutta zoo has been unable to expand or modify its layout for over 50 years, and thus has a rather backdated plan. It contains a Reptile House (a new one has been built), a Primate House, an Elephant House, and a Panther House which opens out onto the open air enclosures for the lions and tigers. A separate Children's zoo is present, and the central water bodies inside the zoo grounds attracts migratory birds. The most famous specimen in the zoo was probably the Aldabra Giant Tortoise "Adwaita", gifted to the zoo in 1875 (brought by British seafarers to Lord Clive's menagerie from Seychelles), and reputedly over 250 years old when it died in 2006 — a contender for the longest lived animal. The zoo was among the first zoos in the world to breed white tigers and the common Reticulated Giraffe. While it has successfully bred some megafauna, its rate of breeding rare species has not been very successful, often due to lack of initiative and funding. One notable exception is the breeding programme of the Manipur Brow-antlered Deer, or Thamin which has been brought back from the brink of extinction by the breeding program at the Alipore Zoo. “Adopt an Animal” scheme was rolled out by the Alipore Zoological Gardens in August 2013 . While the zoo houses over 100 species and close to 1,200 animals, the zoo managed to get adoption interest for only about 40 animals, including tiger, rhinoceros, leopards, bears and jaguar. There have been no takers for the deer, monkeys and a majority of bird species except macaw and peacock.It would take about one to two months to screen and process the applications following which a memorandum of understanding will be signed and a certificate of adoption will be handed over to the foster parents. Apart from tax exemption, the foster parents get a complimentary zoo pass and receive periodic information about the upkeep of the animal. They are allowed to use photos of the animal adopted in newspapers, magazines, and websites.Names of the adoptive individuals will be engraved on a plaque on the animal's enclosure. Sanjay Budhia, chairman of Confederation of Indian Industry (CII) national committee on exports, has adopted a one-horned rhino .While,Ambuja Group chairman Harsh Neotia is also considering an animal for adoption, Narayana Murthy of Infosys has requested to adopt an animal. The zoo is presently downsizing to meet animal comfort requirements laid down by the Central Zoo Authority of India (CZAI). It has also increased the number of open air enclosures. A move to a suburban location was also contemplated, but was not undertaken based on the recommendations of the CZAI, which claimed the Alipore site was of historical significance. The CZAI also cleared the zoo of malpractices in an evaluation performed in late 2005, even though the zoo has continued to attract bad press. The zoo is also home for wintering migratory birds such as ducks, and sports a sizable wetland inside the zoo grounds. Since the zoo is enveloped by urban settlements for miles, the zoo wetlands are the only resting spot for some of the birds and are a focus of conservationists in Kolkata. However, the number of migratory bird visiting the zoo dropped from documented highs by over 40% in the winter of 2004–2005. Experts attribute the causes of the decline to increased pollution, new construction of highrises in the area, increasing threats in the summer grounds of the birds and declining quality of the water bodies at the zoo.